I do not think any of us realized the extent of hardship that was thrust upon and has continued for the low-income families that were affected by Hurricane Irma. During that destructive time, one of the most sought after necessities was diapers. Baby Basics of Collier County received calls from many, many social service organizations asking for help. Because of the close relationship Baby Basics has with the National Diaper Bank Network, they were my first call. They responded by sending a tractor-trailer load of supplies from Kimberly Clark to Naples. There were many pallets of diapers included. Others stepped up also and there was a stream of diapers delivered to Naples and we were honored to partner with Meals of Hope who was our storage facility. Our experience was really like the story of the loaves and fishes. When we were low on diapers more arrived. We received pallets from other Baby Basics sites, a tractor-trailer from the Honest Diaper Company, pallets from a private boys school in NYC, from diaper banks in Cincinnati and Central Florida as well as others and from a gentleman who went to a Target in Orlando and asked for a donation then drove them down to Immokalee. 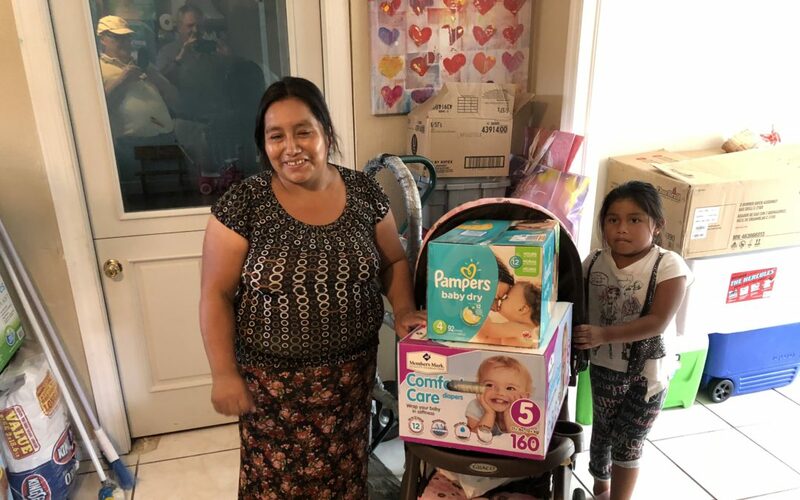 Meals of Hope put the diapers on their food trucks, Baby Basics volunteers drove them all over the county, and a teacher in Immokalee went door to door with diapers. A church in Immokalee is still giving out the much-needed diapers. I truly believe the outpouring of love and support has changed many lives. It certainly has mine. Thank you Community Foundation for your generous grant that enabled us to purchase $3000 worth of diapers at a discounted price.